Who: Zaheera Hashim is a Singapore-based artist. She’s a graduate of the National University of Singapore and is currently senior counsel at Procter & Gamble with responsibility for the Prestige Skin and Health Care businesses. Somewhere in the middle of her career, she toyed with the idea of going on a sabbatical but decided instead to take formal lessons in art and sculpture at the Nanyang Academy of Fine Arts and hasn’t looked back since. Zaheera first exhibited in a group exhibition at P&G’s headquarters in Cincinnati in 2004 and has since shown her artwork in Boston and Singapore. 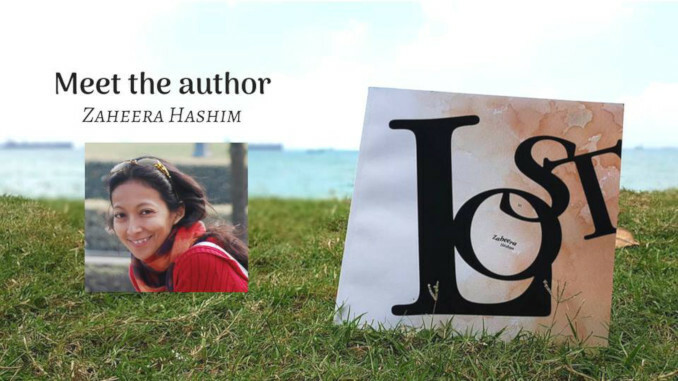 What: Tired of writing legal opinions, she decided to write fiction in her free time. As she thinks visually and because not everything can be explained in words, she illustrates as well. And that was how Zaheera’s graphic novella, ‘Lost’, was born.